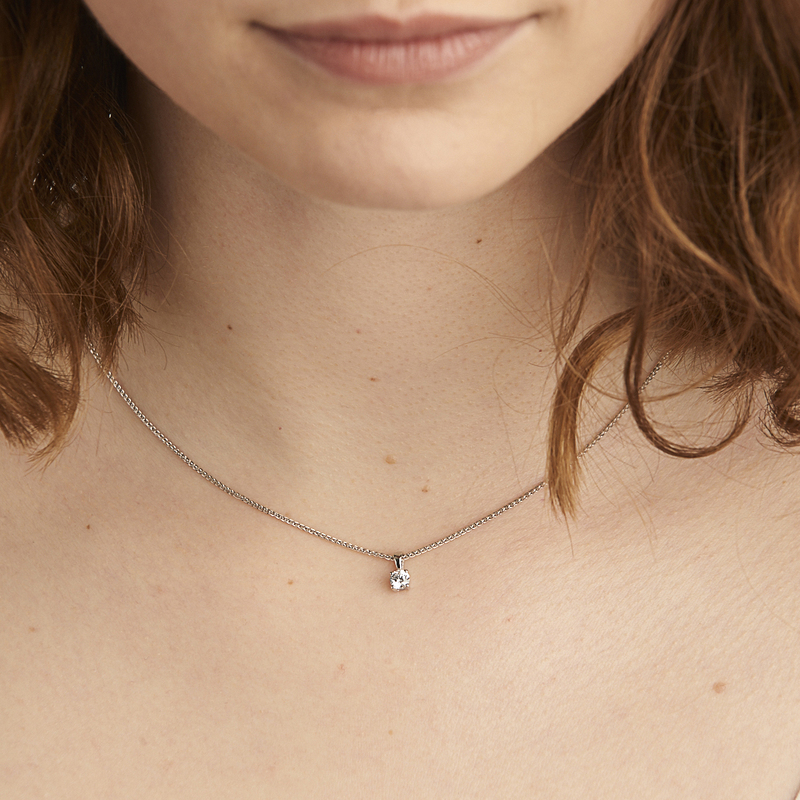 Classic 0.30 Carat Four Claw Diamond Solitaire Pendant. Seen Here Crafted in 18ct White Gold. G Colour SI Clarity. 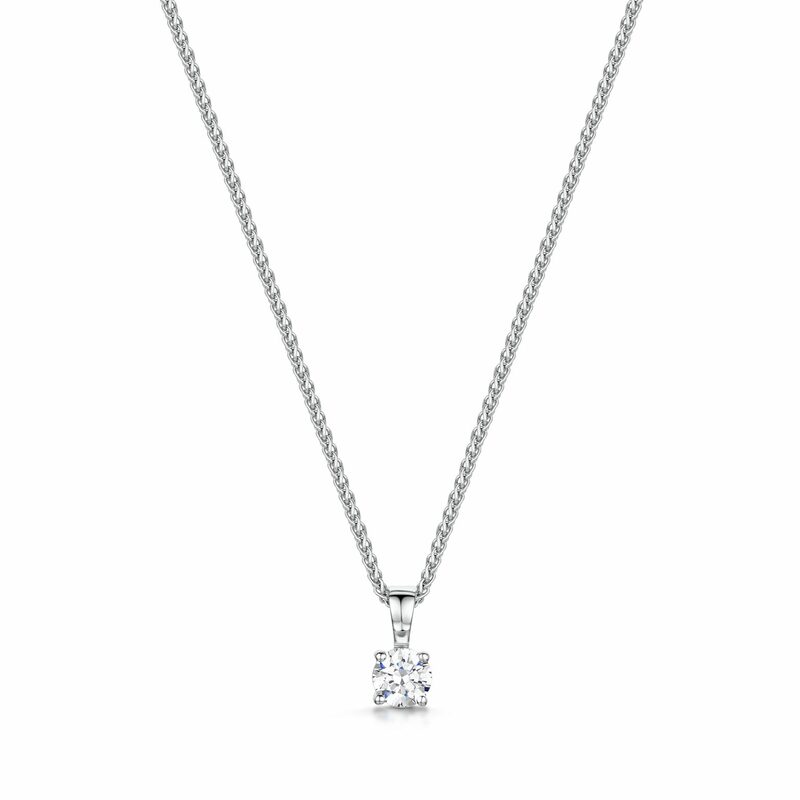 Comes With 18″ 18ct White Gold Chain.